You may have heard that it’s Record Store Day tomorrow, WMSE has been pumping it so I’m all for it. You may have also heard that vinyl is pretty cliche now, even though hip-hoppers have been going to the crates for decades. Since you are back in your place recognizing who-did-what-when-first, I can go on, it’s ok if hipster was the new hip-hop. Getting back to vinyl LPs, 7″ and 45s, the main reason you should check out RSD is that theses gals and guys keep these dusty plastic relics around so classic, rare and new music live for decades. Although Record Store Day exists more to honor those diehard proprietors that value those that value the experience of bricks and mortar music shopping, the day will also provide great opportunity to kindle an appreciation for Milwaukee’s vinyl record stores. I can’t buy all the LPs in Milwaukee so I’ll my favorite crate digging spots. Sitting just-off one of the hippest corners of the City, Bullseye Records has new and used picks suited for finicky Rock fans of all gradients. It also has a decent stack of soundtracks and an underrated jazz section of all eras. They get a little pricey, they also know a LP fiend when they see one. You can listen to used records first, a move that is always appreciated. Ask yourself if you are deep [add rock genre left of prog]. If you have an answer, head directly to Rushmor Records. They have a storied history of producing and supporting hand-picked local bands, so yeah, no posing allowed. 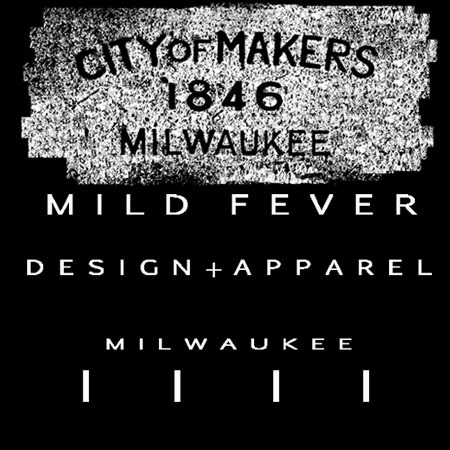 To Milwaukeeans ancient and younger Exclusive has always been the place to go for new music. Post Napster and iPod launches, none of the big boy record stores survived, not even Sam Goody. The Exclusive Company, a Wisconsin staple, is the kind of place you can go in need of a guitar pick, even in Oshkosh and someone will magically have one behind the counter. Vinyl has become a bigger part of the mix on recent years and they’ve done well sorting and categorizing their bins. The South store gets noteriety for a ripping metal and 7″ punk section. They keep the local kids stocked too. You can get that adoptahighway release a fault off the shelf there. Today on the Mother’s Day of record stores, Exclusive will have live music at the Eastside location and will be giving stuff away with Dave Grohl on it (he’s RSD’s official Ambassador). It was way dustier and more disorderly before the original owner died, the quality is still there. 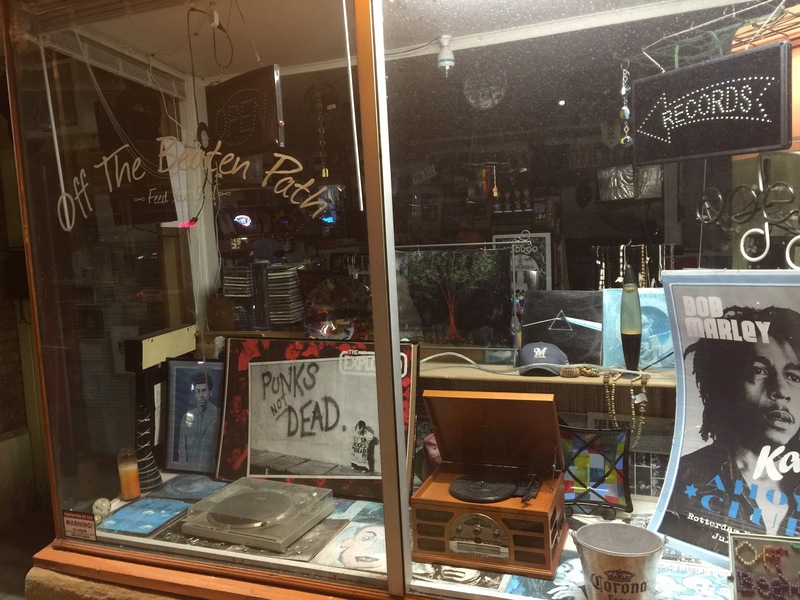 Off The Beaten Path has kept up the tradition, and is a real oasis for the LP enthusiast. Its got a lower half level that sends you 30 feet to the back of the store where its easy to lose track of time. Off The Beaten Path offers a balanced set of genres and wrapped rare releases and reissues. It’s a premier shop. When James Brown died I stopped in there and bought 5 classic James Brown albums in pristine condition, and there about 16 more. The Big Payback still hits my table regularly. Musical Memories has one of the most carefully curated selections I’ve seen in the City and all the records are in excellent condition. Radio Shack wishes it could be Record Head. This shop has a nice selection of used instruments and audio gear. They carry vast selection of used and new mainstream media like movies, cds and games. The vinyl here stays secluded to mostly 70s and 80s funk, classic, psychedelic and 80’s rock and jazz, good digging overall. They have some good dollar bins as well. Those tried and true Eastsiders should remember this shop from that skeezy little retail outlet that used to be on Prospect Ave. Bay View Book and Music has a the best dollar bins around. The main selection has several dozen choice classic rock, metal and soul plays. When you see that hunk of plastic mannequin donning mega retro vintage clothing you think resale shop. Love Unlimited despite its rep a clothing store has well groomed cabinets of vinyl LP with local oddities like Eric Blowtorch somehow embedded in there. A listening station sits in the back giving some piece of mind if you see album with the rocking album cover you’d rather not take a chance on. They’re a couple other super top secret spots I’m not going to mention because well, you got to keep some things sacred. My quick honorable mention spots are the South and especially the Northside Half Priced Books. The old Downtown Books was probably on of the best all around experiences Milwaukee before it splintered, they had vinyl… mostly folk and palor music, which store has the selection now? That’s your scavenger hunt of the day… Go!!! Lastly, although I haven’t been yet, Glass and Groves on 3rd and Wells Street downtown can probably get you going too. This entry was posted on April 18, 2015 by L.S. Trolley. It was filed under Music, Places .